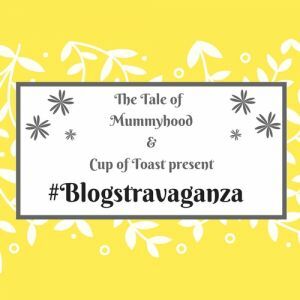 Hello and welcome to the #Blogstravaganza linky party with myself and Zoe from The Tale of Mummyhood. I hope that you’ve all had a wonderful week? It’s the last week of the school term here in Warwickshire and the last day of term today. I am super excited for the summer holidays to start. We are all very tired so I think the slower pace over the next six weeks will do us all the world of good. We are going away for a week too, which should be fun. I hope those of you in the northern hemisphere have nice summer plans? Whether they are determined by school holidays or not! And that those of you currently in the depths of winter aren’t too cold. Anyway, to kick us off of course we have #Blogstravaganza linky number 79! First up is my featured post from last week. This time I’ve chosen this lovely day out post from Alice at DIYerfy. It might be too far for a day trip for me, but those of you who are regulars here will know how keen I am to visit the United States and I shall remember this post when we eventually make it over. Thank you for sharing with us Alice, it sounds like a great place to visit. You can grab your badge below. Also featured this week are these images from Instagram. I love seeing the photos that you share, please do remember to use the #Blogstravaganza hashtag for a chance to be featured! Awesome! Thanks so much for featuring me, ladies! Now I get to add that awesome “featured” badge to my website!